This amazing line up of rock artists is what it might look like if you took all the killer "New Rat Rock" artists and put them on one bill. There's hardly any room to breathe on the bill! And the best news is: You can be there on our dime! Scroll down for how to win and exactly when to listen! Appearing at the show: Ghost, Halestorm, Tom Morello, The Cult, Black Label Society, Papa Roach, Chevelle, Bring Me The Horizon, The Struts, Glorious Sons, Interrupters, Avatar, Bad Wolves, Badflower, In This Moment and more! 2. Be the 9th caller at 732-681-3890 when we tell you to call in. 3. That's it: Boom: You're qualified for the trip of a lifetime! 4. Win the trip at our grand prize event to be announced. Wanna know exactly when we'll tell you to call in to qualify? We can do that. Use your email address to log in to (or join) ClubRat and you'll get a list of all the times we're planning on telling you to call in to qualify for the trip. See below for the official contest rules. These rules apply to the Sonic Temple Giveaway contest (“Contest”) being conducted by Beasley Media Group, Inc. d/b/a WRAT (“Station”). In addition, the General Contest Rules posted on the Station’s website may apply to this contest. i. , Listen to 95.9 WRAT from April 8 through May 3, 2019. When you hear the official Sonic Temple Sounder play between 12:01 am and 11:59 pm each day during the contest period, be caller number nine to 732-681-3890 to qualify for the Grand Prize drawing (subject to confirmation of eligibility). 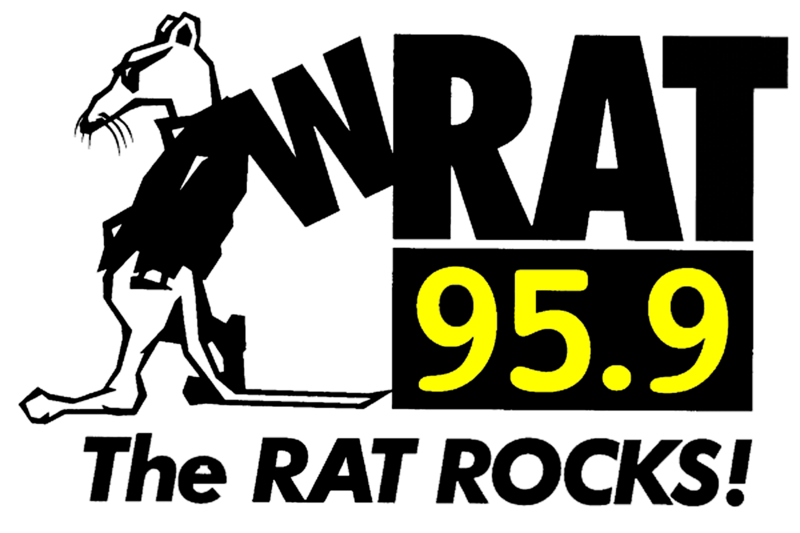 For a list of hours to listen to win, go to www.wrat.com and log in to Club Rat. No less than 100 qualifiers will be selected on-air. Listeners should try to be the 9th caller as soon as they hear the official sounder. Online listeners to the WRAT web stream may experience a reception delay of up to one minute. Listening to the station’s over-the-air broadcast is the best way to participate in the on-air portion of this contest. Caller qualification is subject to FULL phone call completion, and the verification of the caller’s name, address, home phone number, and work/cell phone number, all of which must be provided prior to completion of the call. Contest calls will not be accepted at any other number. Become a member of Club Rat at www.wrat.com; there is no charge to join. ii. Club Rat Members can also enter for a chance to qualify on line starting April 8 at 9am at www.wrat.com. Become a member of Club Rat at www.wrat.com. There is no charge to join. Enter by completing and submitting the online entry form. Entries must be received by 11:59pm on April 26, 2019 to be eligible. Ten (10) entries will be selected at random on April 29, 2019, from all eligible online entries received, to qualify for the Grand Prize drawing. Qualifiers will be notified by phone or email. iii. Register in person by completing and submitting an official entry form at the WRAT Sonic Temple Giveaway event on Date TBD. At least five (5) additional qualifiers will be selected at random from the event entries and announced during the event. Must be present to be confirmed as a qualifier. c. Limit one qualifying opportunity per person and per household. a. Contest is open to all Station listeners who are 21 years of age or older and who are legal US residents and reside in New Jersey or Station’s terrestrial listening area. Contestants must possess a valid, government-issued ID. Winner must show proof of residency to verify eligibility. c. Listeners are eligible to win a Station contest only once every thirty (30) days and a prize valued at $600 or more only once every six months. Only one winner per household (whether related or not) is permitted in any contest. a. One grand prize will be awarded: a trip for two (2) to see the Sonic Temple festival in Columbus, Ohio from May 16-20, 2019 (departing Newark on May 16th and departing Columbus on May 20, 2019). This trip consists of: Two tickets to each night of the festival (3 nights total), Round trip coach airfare for two from a local NJ Airport and hotel accommodations (one room, double occupancy) for four (4) nights checking in on May 16 and checking out on May 20, and $200 spending cash to cover transportation from airport and hotel. Winner is solely responsible for all expenses not specifically listed as included in the prize, including (without limitation) the items listed above as not included. c. Total estimated value of prize package is $_1,675_;. Actual value may vary depending on departure airport and airfare prices at time of booking. Winner must be at least 21 years old, and winner and guest must travel on the same itinerary. Flight dates are fixed and flight times may be limited. Scheduling is subject to availability. d. Non-cash prizes are not redeemable for cash. WRAT reserves the right, in its sole discretion, to substitute any prize or prize element with one of equal or greater value. Winner may not request prize substitution. Prizes are non-transferable and may not be claimed or used by any person other than the winner. Winner must claim prizes by completing all required paperwork in person at the WRAT offices within 30 days after the end of the contest. Prizes not claimed within the 30-day period will be forfeited. Prizes could take up to 8 weeks for complete delivery. e. Unless otherwise specified, all prizes or prize certificates must be claimed at the office of the Station located at 1731 Main Street Lake Como, NJ 07719, Monday-Friday, during regular business hours and excluding holidays. Prize or prize certificate must be claimed within 30 days of winning. Failure to claim prize by the specified time will result in forfeiture of the prize. f. Unless otherwise permitted by the Station, winner(s) must claim his or her prize in person, and a prize cannot be claimed by third parties on behalf of the winner. If a contest is open to entrants under the age of 18 and a winner is under the age of 18, a parent or legal guardian must claim the prize. g. In the event that a prize or prize certificate is mailed to the winner, it will be with the prior written consent of the winner and therefore, winner assumes the risk of its arrival. Station is not responsible for the safe arrival of a prize or prize certificate. h. Prizes are not transferable. Prizes may not be substituted for or redeemed for cash, except in the sole discretion of Station or the prize provider. b. Grand Prize winner will be determined by random drawing or other random selection method from all qualifiers registered and present at the Sonic Temple Giveaway event on DATE TBD, 2019 . Subject to confirmation of eligibility, the qualifier who is selected through this process will win the Grand Prize Sonic Temple Trip. c. Qualifiers must be present at the Grand Prize Giveaway Event on DATE TBD 2019 between 8pm and 10pm at LOCATION TBD in order to be eligible to win the Grand Prize. d. Odds of being a qualifier depend on number of eligible entries received through each entry method. Odds of winning the grand prize once a qualifier are approximately one in 120, depending on exact number of qualifiers present at the giveaway event. b. Taxes and Liability: Payment of all federal, state and local taxes is the sole responsibility of the winner. Contest winnings will be reported to the Internal Revenue Service and winners can expect to receive a 1099 tax form for prizes which total more than $600 for the calendar year. Winners may be required to accurately complete and submit IRS Form W-9 to the Station as a condition of receiving a prize. c. By participating in the Contest, contestant agrees to have his or her name, voice, or likeness used in any advertising or broadcasting material relating to this contest, in any medium, without additional financial or other compensation. d. By participating in the contest, each participant hereby releases and agrees to indemnify and hold harmless the Station, its licensee, affiliates, subsidiaries, parent corporation and each of their officers, directors, shareholders, employees, advertising and PR agencies, sponsors, advertisers, promotional partners, agents, representatives, and their successors and assigns, and all others connected with them and the contest (collectively, “Released Parties”) from any and all liability, claims, actions and damages sustained or incurred by participation in the contest and the receipt and use of any prize awarded (if any) through such contest arising in any manner whatsoever. e. Contest winners (and their guests or travel companions, if any) may be required, in the Station’s sole discretion, to sign a liability release and a publicity release. A winner (or his/her parent or legal guardian if under the age of 18 years) must execute and return any required release as instructed by the Station or winner will be disqualified and the prize will be forfeited. An alternate winner may be chosen by random selection in the Station’s sole discretion. Pursuant to the liability release, winners agree to hold the Released Parties harmless against any and all claims or liability arising directly or indirectly from the prize or participation in the contest. If any contestant (or his/her parent or legal guardian, if applicable) refuses to sign any required release, any and all prizes will be forfeited. i. The Station reserves the right to end any contest or amend these rules upon announcement on air and publication at www.wrat.com. l. Prizes are awarded “AS IS, WHERE IS” with no guarantees or warranties as to use, safety, or performance. Acceptance of a prize releases the Station, its sponsors, promotional partners and advertisers from all liability and claims concerning the prize, its delivery, and its use. m. The Station is not responsible for typographical or other errors in the printing, the offering or the administration of the Contest or in the announcement of a prize. The Station is not responsible for (i) lost, stolen, mutilated, misdirected, postage due, illegible, incomplete or late entries; (ii) telephone or mobile service outages, delays, busy signals, facsimile transmission errors, equipment malfunctions and any other technological difficulties that may prevent an individual from completing his/her telephone call or from sending a text message (if applicable, message and data rates may apply, and the Station is not responsible for any fees incurred by an entrant for this method of entry); or (iii) entries not received due to difficulty accessing the internet, service outage or delays, computer difficulties or other technical difficulties. q. No purchase is necessary. The contest is void where prohibited. Contests and promotions are subject to all applicable federal, state and local laws. s. Copies of the written Contest rules and, if required by applicable law, a list of all winners are available for 60 days after the Contest concludes, during regular business hours at the main studio of the Station, 1731 Main St Lake Como, NJ 07719, or by sending a self-addressed, stamped envelope to the Station. t. For register-to-win contests, the odds of winning depend on the number of eligible entries received. a. The Station is not responsible for telephone malfunctions. The Station is not responsible for callers lost or disconnected before completing a Contest-related call. Caller qualification is subject to FULL phone call completion, and the verification of the caller’s name, address, home phone number, and work/cell phone number, all of which must be provided prior to completion of the call. If a potential winning caller is disconnected for any reason prior to completion of the call, s/he will be disqualified and the next caller taken will be deemed the potential winner. Contest calls will not be accepted at any number other than the advertised Contest number. The Station is not responsible for any lost connections, miscommunications, failed computer or telephone transmissions, equipment or other technical failure or service interruptions. The Station is not responsible for any carrier or server delays or failures. b. If the Contest includes a featured song or artist, only the specific Song of the Day (or a song by the Artist of the Day), when played in its entirety from beginning to end, will be used to solicit contest calls. Snippets of songs played for advertising or promotional purposes and music beds that contain music from the Song or Artist of the Day WILL NOT count. Listeners should try to be the correct caller at 732-681-3890 as soon as they hear the Song or Artist of the Day begin to play. If a listener accidentally calls when a song snippet or music bed is played, s/he will simply be informed of the error. e. To enter online, you must enter your first name and last name, complete address, city, state, zip code, home telephone number and a valid email address in the online entry form, as well as any other required information. Limit one Internet entry per person and one Internet entry per email address. Internet entries will be deemed made by the authorized account holder of the email address submitted at the time of entry. The authorized account holder is the natural person who is assigned to the email address by an Internet access provider, online service provider, or other organization that is responsible by assigning email addresses or the domain associated with the submitted email address.